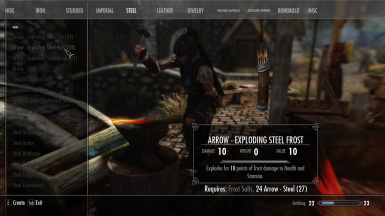 Fixes an issue with Orcish shock arrows actually firing the frost projectile. Everything else is unchanged. 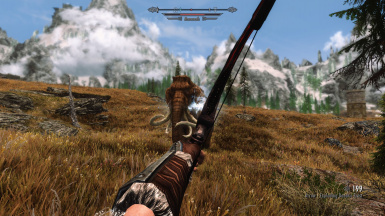 Fixes an issue with the Orcish shock arrow incorrectly firing the frost arrow. 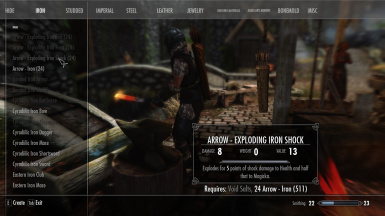 Choose this or the Standard version. 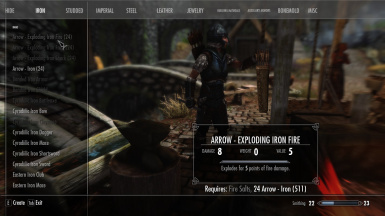 First version of simple explosive arrows. Contains the .esp file. No additional requirements. 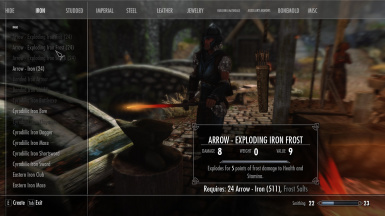 Vanilla version of simple explosive arrows. Contains the .esp file. This replaces the default version - download either this or the default file.